The right business owners knows how he gets traffic to both his business and bottom line. The understanding of where your marketing dollars are going is a very refined process that requires attention to detail and analyzing data properly to help maximize your budget. Business owners often place website analytics onto their page to view the traffic that’s coming into their site. However, they often fail to realize how they can use this valuable data to improve their business and their revenue. Web analytics is a tricky feature to fully leverage on your page. 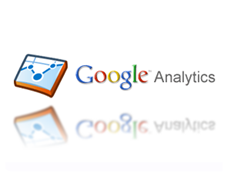 When you want to understand Google Analytics and all it has to offer, Google Analytics consulting in Tampa is going to lead you to marketing success. Understanding the performance of you website and how users interact with it is one of the most undervalued features of Google Analytics. From funneling to understanding site speed, and everything else that can affect the average user experience, website analysis comes with understanding every feature of Google Analytics, and some of these elements should be a top priority in getting your users from the landing page to the conversion page. Whether you want to refine your SEO strategy or enhance your Google Adwords or other paid search campaign, knowing how well keywords work for you is something every business should strive for. Keyword targeting with web analytics isn’t just about doing some keyword research to find your answers by keyword volume, but finding the keywords that convert for you and have the most likely chance of adding revenue to your bottom line. Whether you’ve had a slump in traffic lately, or are dealing with high bounce rates for your users, Google Analytics consulting in Tampa is going to help you use the analytics program to your advantage. Through proper website tracking as well as someone who knows how to read analytics data, you can determine your problem areas and make fixing these a priority, which helps you get back on the right track toward the goal of your business or website. Even if you’ve solved basic issues, Google Analytics can reveal so many more problems to those who might not think they have them.